Until recently the battle to avert catastrophic climate change – floods, droughts, famine, mass migrations – seemed to be lost. But with the tipping point just years away, the tide is finally turning, thanks to innovations ranging from cheap renewables to lab-grown meat and electric airplanes. Carbon dioxide from burning fossil fuels is the main greenhouse gas, but methane and nitrous oxide are more potent and, unlike CO2, still rising. The major source is livestock farming, in particular belching cattle and their manure. What sounds like an oxymoron – food that looks and tastes just as good as meat or dairy products but is made from plants – has attracted heavy investment. The buzz is particularly loud in the US, where Bill Gates has backed two plant-based burger companies and Eric Schmidt, formerly CEO of Google, believes plant-based foods can make a “meaningful dent” in tackling climate change. Perhaps even more telling is that major meat and dairy companies are now piling in with investments and acquisitions, such as the US’s biggest meat processor, Tyson, and multinational giants Danone and Nestlé. 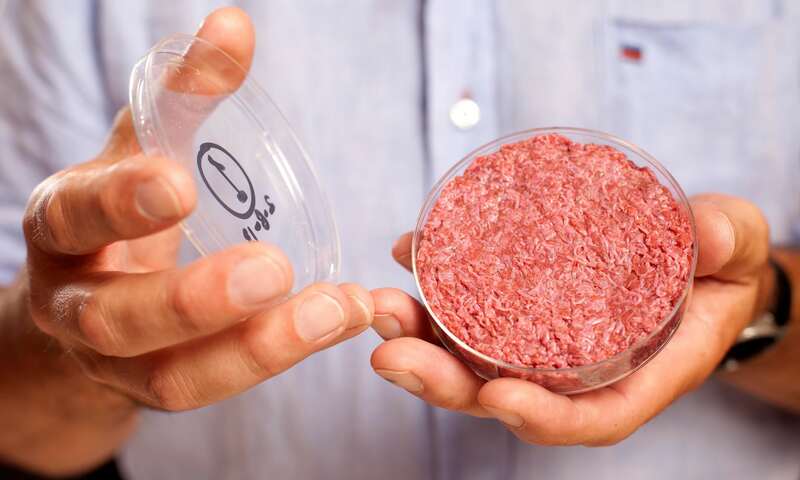 The Chinese government has just put $300m (£228m) into Israeli companies producing lab-grown meat, which could also cut emissions. The most advanced of the megatrends is the renewable energy revolution. Production costs for solar panels and wind turbines have plunged, by 90% in the past decade for solar, for example, and are continuing to fall. As a result, in many parts of the world they are already the cheapest electricity available and installation is soaring: two-thirds of all new power in 2016 was renewable. This extraordinary growth has confounded expectations: the respected International Energy Agency’s annual projections have anticipated linear growth for solar power every year for the past decade. In reality, growth has been exponential. China is leading the surge but the impact is being felt around the world: in Germany last week there was so much wind power that customers got free electricity. In the US, enthusiasm for green energy has not been dented by President Donald Trump committing to repeal key climate legislation: $30bn has been investedsince he signed an executive order in March. “I am no longer concerned about electric power,” says Figueres. The flipside of the renewables boom is the death spiral of coal, the filthiest of fossil fuels. Production now appears to have peaked in 2013. The speed of its demise has stunned analysts. In 2013, the IEA expected coal-burning to grow by 40% by 2040 – today it anticipates just 1%. The cause is simple: solar and wind are cheaper. But the consequences are enormous: in pollution-choked China, there are now no provinces where new coal is needed, so the country has just mothballed plans for 151 plants. Bankruptcies have torn through the US coal industry and in the UK, where coal-burning began the industrial revolution, it has fallen from 40% of power supply to 2% in the past five years. “Last year, I said if Asia builds what it says it is going to build, we can kiss goodbye to 2C” – the internationally agreed limit for dangerous climate change – says Liebreich. “Now we are showing coal [plans] coming down.” But he warns there is more to do. Slashing oil use – a third of all global energy – is a huge challenge but a surging market for battery-powered cars is starting to bite, driven in significant part by fast-growing concerns about urban air pollution. China, again, is leading the way. 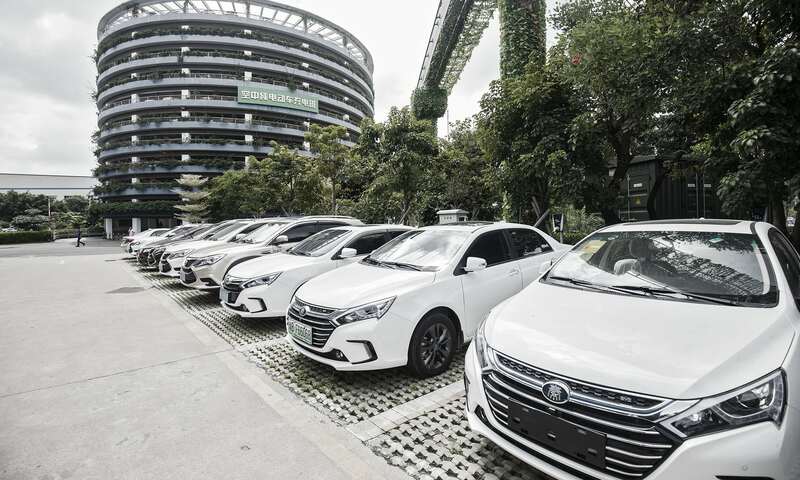 It is selling as many electric cars every month as Europe and the US combined, with many from home-grown companies such as BYD. US-based Tesla is rolling out its more affordable Model 3 and in recent months virtually all major carmakers have committed to an electric future, with Volvo and Jaguar Land Rover announcing that they will end production of pure fossil-fuelled cars within three years. “We have a domino effect now,” says Figueres. These cars are “now being made for the mass market and that is really what is going to make the transformation”. “I don’t think it is going to slow down,” says Viktor Irle, an analyst at EV-volumes.com. Drivers can see the direction of travel, he says, with a stream of choked cities and countries from Paris to India announcing future bans on fossil-fuelled cars. It is true that global sales of electric cars have now achieved liftoff, quadrupling in the past three years, but they still make up only 1.25% of all new car sales. However, if current growth rates continue, as Irle expects, 80% of new cars will be electric by 2030. The rapid rise of electric cars has left the oil giants, who have a lot to lose, playing catchup. The oil cartel Opec has increased its estimate of the number of electric cars operative in 2040 by five times in the past year alone, with the IEA, ExxonMobil and BP all bumping up their forecasts too. Heavy transport remains a challenge, but even here ships are experimenting with wind power and batteries.Short-haul electric airplanes are on the drawing board, too. Batteries are key to electric cars and, by storing energy for when the sun goes down or the wind stops blowing, they are also vital when it comes to enabling renewable energy to reach its full potential. Here too, a megatrend is crushing prices for lithium-ion batteries, which are down 75% over the past six years. 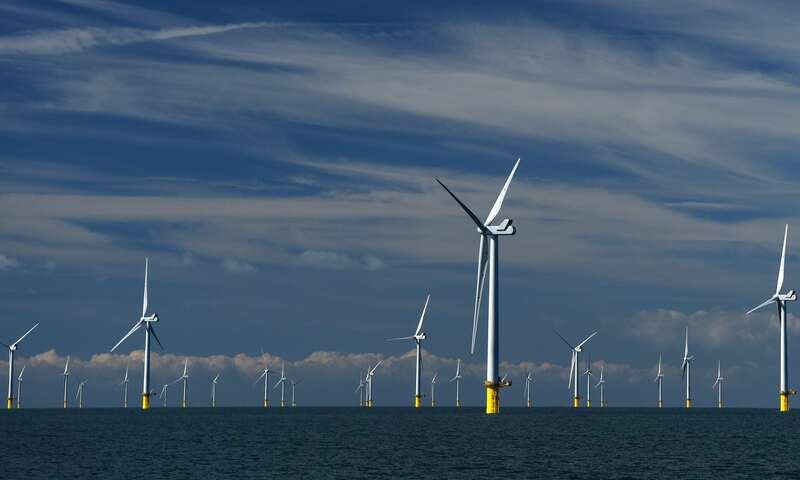 The International Renewable Energy Agency expects further falls of 50-66% by 2030and a massive increase in battery storage, linked to increasingly smart and efficient digital power grids. In the UK alone, government advisers say a smart grid could save bill-payers £8bn a year by 2030, as well as slashing carbon emissions. It is true, however, that batteries will not be the solution for energy storage over weeks or months. For that, long-distance electricity interconnectors are being built and the storage of the energy as gas is also being explored. 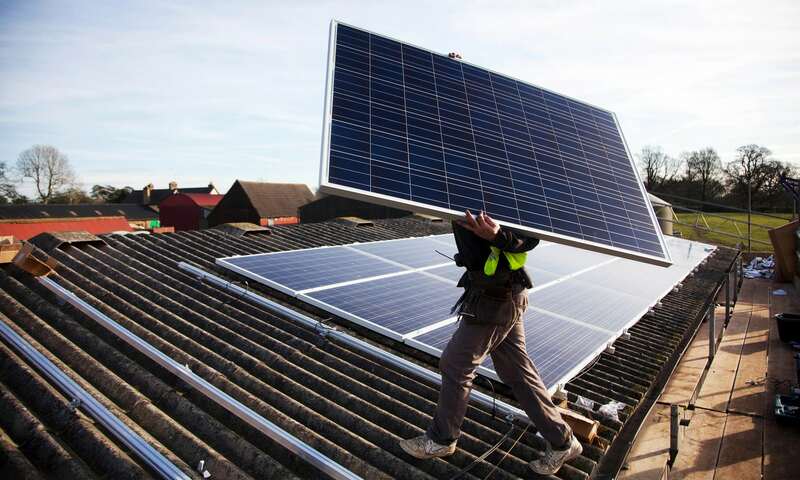 Just as important as the greening of energy is reducing demand by boosting energy efficiency. It’s a no-brainer in climate policy, but it can be very tricky to make happen, as it requires action from millions of people. Nonetheless, good progress is being made in places such as the EU, where efficiency in homes, transport and industry has improved by about 20% since 2000. Improving the efficiency of gadgets and appliances through better standards is surprisingly important: a new UN Environment Programme reportshows it makes the biggest impact of any single action bar rolling out wind and solar power. In countries with cool winters, better insulation is also needed, particularly as a fossil fuel – natural gas – currently provides a lot of heating. 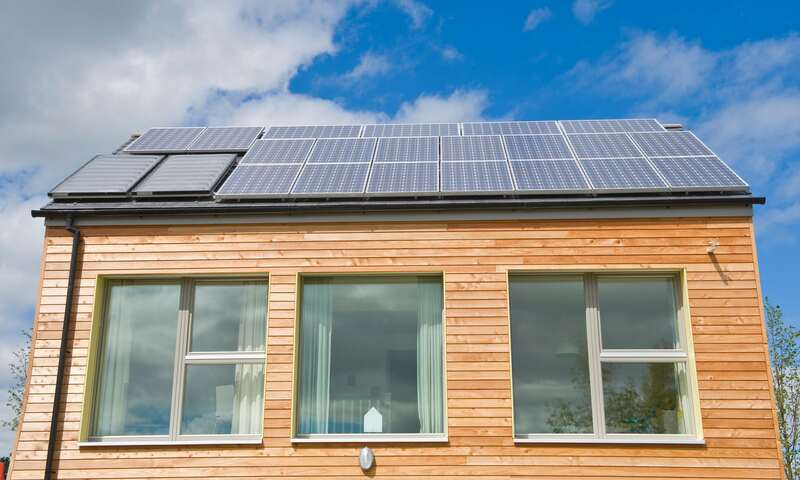 “What is a crime is every time a building is renovated but not renovated to really high standards,” says Liebreich, who thinks labelling such homes as “zero-energy-bill” homes, not “zero-carbon” homes, would help overcome opposition. One sector that is lagging on energy efficiency is industry, but technology to capture and bury CO2 from plants is being tested and ways to clean up cement-making are also being explored. The destruction of forests around the world for ranching and farming, as well as for timber, causes about 10% of greenhouse gas emissions. This is the biggest megatrend not yet pointing in the right direction: annual tree losses have roughly doubled since 2000. This is particularly worrying as stopping deforestation and planting new trees is, in theory at least, among the cheapest and fastest ways of cutting carbon emissions. But it is not getting the support it needs, says Michael Wolosin at Forest Climate Analytics. “Climate policy is massively underfunding forests – they receive only about 2% of global climate finance.” Furthermore, the $2.3bn committed to forests by rich nations and multilateral institutions since 2010 is tiny compared with the funding for the sectors that drive deforestation. “Brazil and Indonesia’s governments alone invested $276bn in the same timeframe, in just the four key driver commodities: palm oil, soy, beef and timber,” says Franziska Haupt at Climate Focus. In the past two decades, tree-planting in China, India and South Korea has removed more than 12bn tonnes of CO2 from the atmosphere – three times the entire European Union’s annual emissions, Wolosin says. This action was driven by fears about flooding and food supply, meaning that global warming needs to be seen as equally urgent in this sector. Regrowing forests can also play a crucial role in sucking CO2 out of the atmosphere, which is likely to be necessary after 2050, unless very sharp cuts are made now. Stern is cautiously optimistic, saying that what has changed in recent years is the realisation that green economic growth is the only long-term option: “There is no long-run high-carbon growth story because it creates an environment so hostile that it turns development backwards.